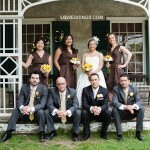 Wency and Richard held their wedding ceremony at Black Creek Pioneer Village. I have never shot there before and…wow! 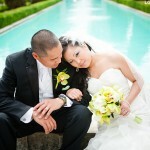 What a fantastic venue for anyone who wants an intimate, romantic, and vintage wedding like Wency and Richard’s. The yellow, greys and browns…just beautiful. Check out some of my favourite photos from this picture-perfect day!